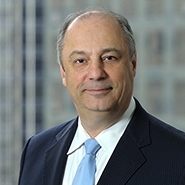 Judge Furman first addressed European Home’s motion for summary judgement wherein Defendant argued that the ’218 patent was invalid on indefiniteness grounds. European Home proposed that the term “predefined distance” was indefinite in two ways. First, said Defendant, “relative dimensions provide no objective measure of the ‘predefined distance’ and cannot be translated into meaningfully precise scope of the term.” The Court was quick to reject this argument, noting that the Federal Circuit had repeatedly found that “relative terms” such as “substantial” and “high” were sufficiently definite, and that the same reasoning applies here. Second, European Home contended that the same term was indefinite because it describes “both the angled segments and the channels”—i.e., the things that were spaced at a “predefined distance” as per the patent—“without clarifying when it refers to one or the other.” (emphasis added). 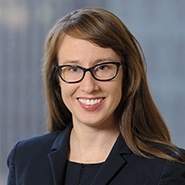 Judge Furman also rejected this attack, commenting that the patent specification indeed explained the relationship between the parts and even made reference to a numbered diagram. Pressure Activated; Endothermically Activated; Endothermically Deactivated: The Court next had to decide whether the terms “pressure activated,” “endothermically activated,” and “endothermically deactivated” imply causation. Stated otherwise, given a certain amount of agreement on key terms—such as “pressure” and “activated” and “endothermically activated” and “endothermically deactivated”—the dispute with respect to the terms was whether “pressure” was the sole means of activating the claimed composition (for “pressure activated”) and whether the composition absorbs and emits heat solely because of the application and release of pressure (for “endothermically activated” and “endothermically deactivated”). Reflecting on the prosecution history, the Court rejected Defendant’s more narrow reading, finding that “‘pressure activated’ must be construed to mean ‘activated at least in part by pressure,’ and ‘endothermically activated and endothermically deactivated upon the application and release of pressure, respectively’ must be construed to mean ‘absorbs heat and emits heat upon, at least in part, the application and release of pressure, respectively.’” (emphasis added). The case is Green Pet Shop Enters., LLC v. European Home Design, LLC, 17-CV-6238, Dkt. No. 78 (S.D.N.Y. Mar. 13, 2019).